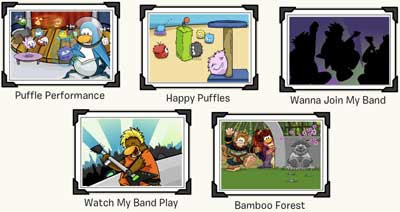 Club Penguin Cheats by Mimo777 Club Penguin Cheats by Mimo777: New Club Penguin Bambo Forrest Postcards! Ok, bunch of Club Penguin updates EARLY tonight and new Postcards as well! SWOOT. Also, the "NEW" icon is back on the Club Penguin Newspaper. Cool! I think that was a good move. I liked that. I was about to tell you that lol but i guess i was too late! mimo u r awesome. thank you so much for helping these ppl. yay i loved that part of the newz paper!!! mimo you have mail to check. that's really neat i remember that from before.